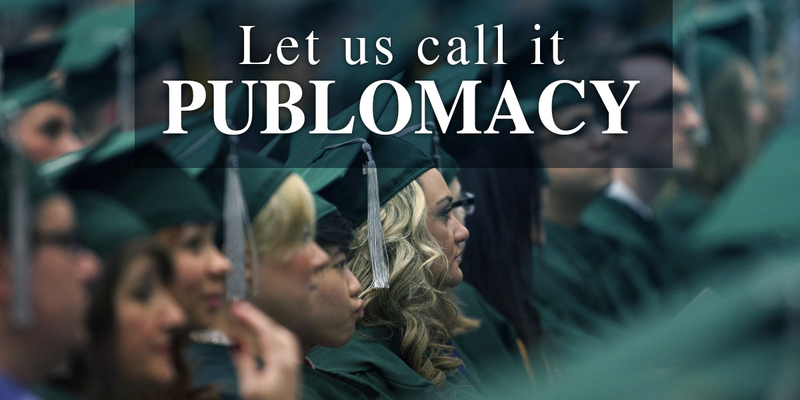 Public Diplomacy, an emerging academic field that needs a title. New words are added to the academic dictionary all the time. So logically, as the field expands, inventing new words becomes a natural tendency. This may done for a wide array of reasons but we will list the main one: to give a genuine, unique and coherent word that describes the “subject” being studied or discovered or even invented from scratch. Throughout the past century, the study of International Relations gave birth to many new words, phrases and slogans. Some were polished or represented differently from their original intent. For instance, let’s take the word, “Diplomacy.” This is a word that originally came from the Greek word “Diploma”, meaning “folded paper.” In 1796, it became a word to describe something else. Specifically, the disparagement of handling negotiations between nations. Today, the term has become the basis of noun phrases that reflect various approaches to international relations. Let’s take a look at another word. Propaganda is a word that moved from religion context into warfare before settling in politics. Originally a sociological term, the word Establishment had been picked by media in the mid 70’s to refer to an elite group that controls government. Public Diplomacy or “Publomacy” is the “influencing foreign governments through the influencing their citizens.” Or “winning the heart and minds of foreign nations.” It is one of the most interesting phrases in modern political science. With so many origins and even much more number of descriptions and meanings throughout the past 200 years, public diplomacy has faced so many obstacles as a term. So much that it delayed its right to have its own field of study. Still, since the 9/11 terrorist attack, Public diplomacy or “Publomacy” gained a huge momentum far more than before. Universities, academics, NGOs, authors, old public diplomacy agency’s alumnus and practitioners, started to recycle the usage of this word in an effort to make it a recognizable field of study; similar to other branches of political science. This includes the need for a term that can catch all of the previous knowledge -yet- can be recognized easily. A new word: “Publomacy“ catches the tone and sound of Public diplomacy phrase, yet, it’s easy to differentiate from it, and from each word it was derived from. More recognizable: One of the problems of describing a career in public diplomacy has been the title. 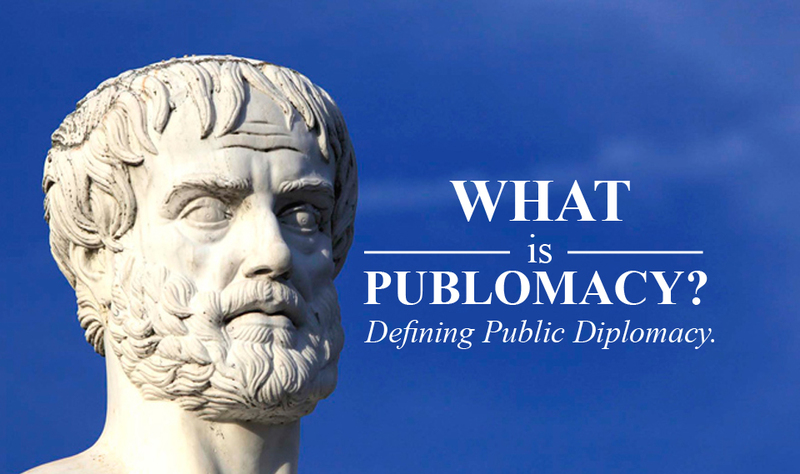 Professionals working in public diplomacy is called “public diplomacy practitioners.” But, by using the basic word “Publomacy,” wouldn’t it be easier to call them a “Publomat?” As one is called a Diplomat? Still, it’s separated from the official concept of diplomacy and still has the sense and the tone of the words “public,” “publicity” and the concept of “publicly” which relates to people, the citizens, who – by the way- can play two roles: either a participant with his country’s publomacy, or as a target audience for foreign government’s Publomacy. Better grammar, more potentials: This new word is a convenience, grammatically. Instead of saying “Sport Diplomacy” or “Cultural Diplomacy,” we can say sport publomacy for the adjective and, sport publomat when we want to use the noun. What this does is expand on the potential words and sustain the coherent aspects of future writings. Better Google Search: Unique new words, means a better, easier, faster and more accurate results while searching for articles through the Internet. Keeping in mind that Google and other search engines look for separate words, (public) and (diplomacy) will result in a more wider range than one unique word. For example, public diplomacy search in google results average of (6,140,000 results), while using a new word like “Neuroethics,” the study of the implications of neuroscience for human self-understanding, ethics, and policy, produced just (272,000 results). It’s important to keep in mind that this field of study has much in common with “Bioethics“, (33,600,000 results). That means, approximately 99.2% better results. So?, finding articles with of public diplomacy content under the publomacy would be much accurate results – which- is a good thing for scholars and writers. Easier to adopt by foreign languages: For example, the French “Public Diplomacy” is translated into “diplomatie publique” and in German “Öffentliche Diplomatie.” But using “Publomacy“ would be translated into (Publomatie) which can be used with the same letters by both the French and Germans. One Last thing: “Publomacy”; as a practice and a study is moving fast, and changing even faster. 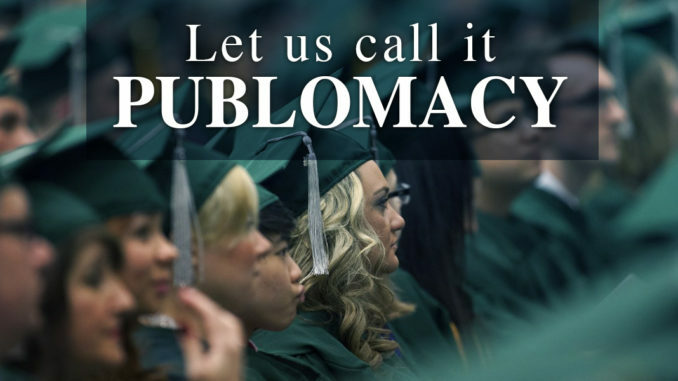 Today we have a new term called “New public diplomacy.” it appeared in less than a decade after 9/11, this means speeding alongside discipline requires us to redefine its terms, phrases and words, starting with a title that addresses the core concept of this field of study, simply called “Publomacy”. In conclusion … I think that “Publomacy“ as a word, might be the golden key that would help scholars to lift Public diplomacy to its proper place as academic field of study, along side other disciplines. International affairs department – Palestinian presidency. Foreign desk media officer – Palestinian presidency. 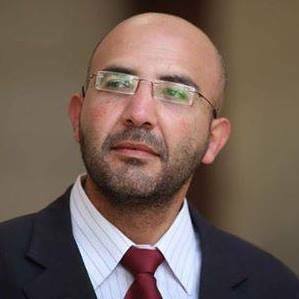 Guest-lecturer at Media department – Al Quds open university – Palestine. Share the post "Let us call it Publomacy !"